6883	No. 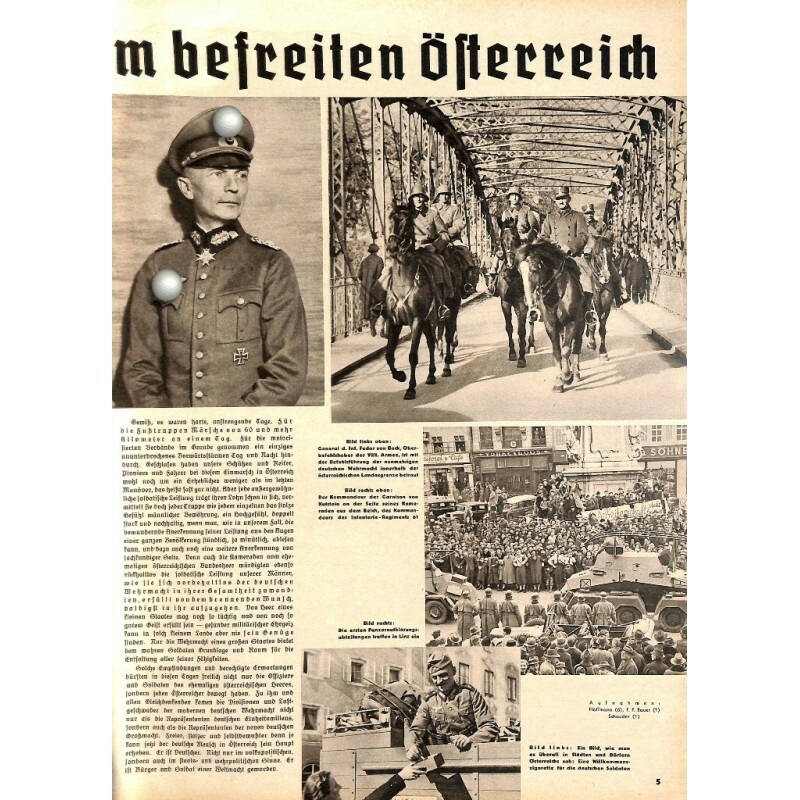 6-1938 - März	DIE WEHRMACHT	content:	Austria 1938 big report WWI France battles 50th anniversary Wilhelm I death German military WWII magazine	condition:	poor, rubbed spine with glue, lightly trimmed edges, This issue was formerly bounded into a folder and removed. 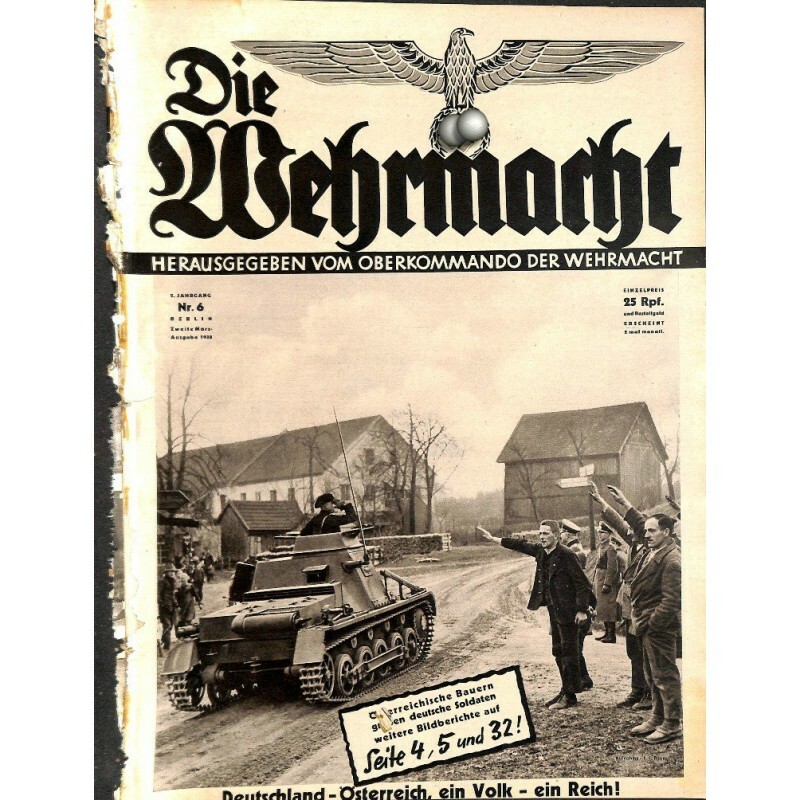 DIE WEHRMACHT was an illustrated bi-weekly German magazine about the German Army (Luftwaffe, Heer, Kriegsmarine). 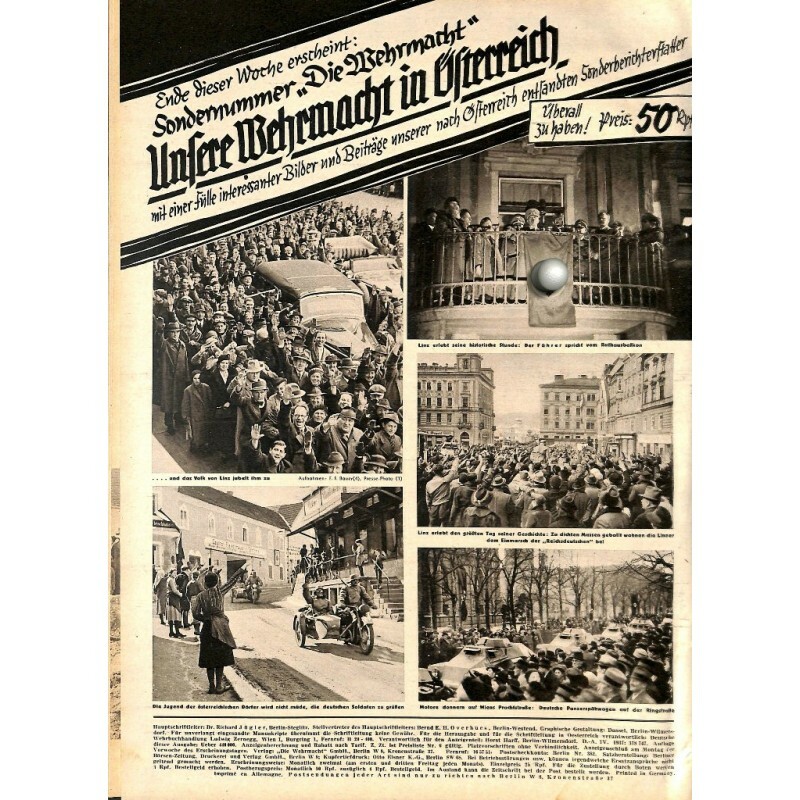 The German edition was printed from November 6 1936 until 30.August 1944 (No. 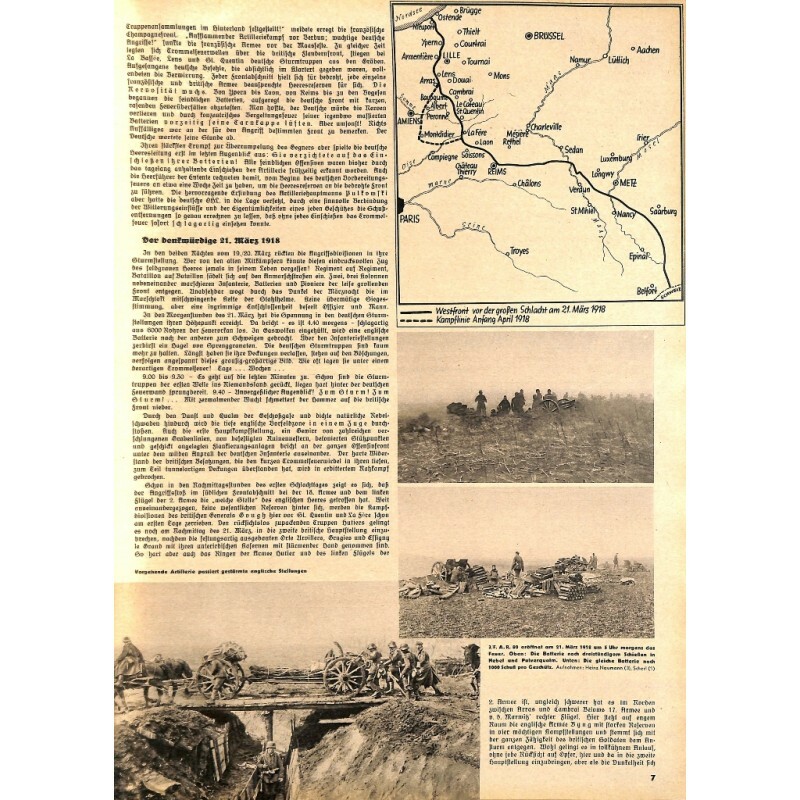 18-1944). DIE WEHRMACHT was known under the previous title DAS EHRENKREUZ.